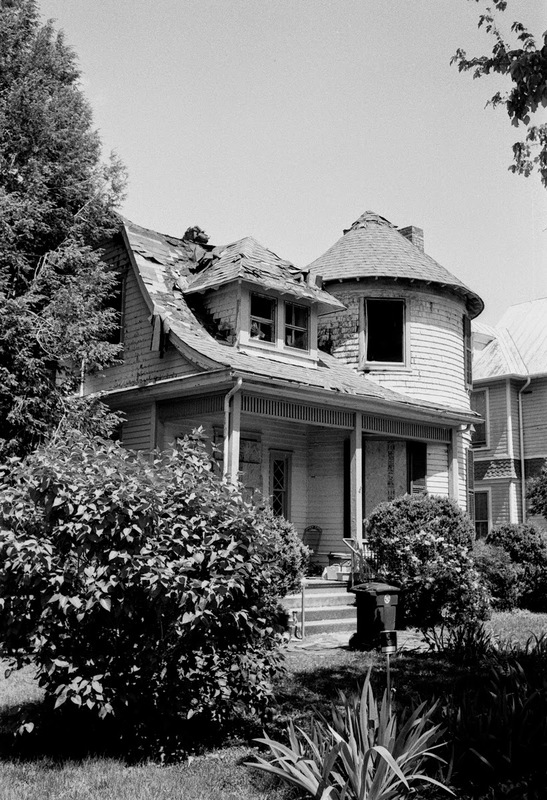 Kodak Retina IIIS Schneider Retina-Curtagon 35mm f2.8 Orwo UN54 Arista-76 Stock - A beautiful old house in a bad situations on Rivermont Ave. in Lynchburg, VA.. It was hit by lightning, setting the roof on fire, burning out most of the upper floor. An owner of an old home myself, I hope someone takes the time and money to save this old Victorian. Scanned with a Minolta Dimage Scan Dual III using Silverdast SE Plus Software.